Together with Cuzzupa there is the Cudduraci, another leavened dessert which name derives from Cuddura, the biggest version of this dessert. It is a soft bread braid closed as a crown, which name derives from its shape, from the greek “kollura” that means “crown”. The peasants of the past were used to skewer this dessert in a stick to bring it in the fields. It is a dessert that requires patience and commitment, but that will give great sensations to the palate; it is symbol of good luck. Start kneading the Cuzzupa at the beginning of the week, so that the dough can leaven slowly for days preserved in a warm place, till it’s ready for the Holy Friday and Easter. This Easter dessert has probably Arabian origins, it celebrates the end of the fast, the joy of the Resurrection of Christ and the fertility that spring brings. For this reason there are also some eggs nestled in the dough, symbol par excellence of the Easter rebirth. Cuzzupa is shaped in order to remind Easter as hen, fish but also letters of the alphabet, hearts, animals or birds. The tradition wants that the mother-in-law prepares for young lovers or married couples a big heart of Cuzzupa with two eggs nestled. Everything has to be decorated with chocolate decorations and small colored pieces of sugar. The base is similar to the sister Cuzzupa, a sweet leavened dough made with simple ingredients as flour, sugar and hard boiled eggs, nestled in the douugh. Cuddhuraci, usually smaller than Cuzzupa, more similar to soft biscuits, in the past they were sweetened with the must. The taste of Cuddhuraci is light and delicate, the dough is soft with a golden crust in the surface that is sometimes seasoned with a mix f white egg, water and sugar that drench the dough. Everything can be decorated with almonds or small and colored pieces of sugar. Also in Sicily and Puglia there are similar version of this amazing Easter dessert. In Sicily there is Cuddura cull’ove, that is typically ate during the picnic of the Holy Monday. It is a dessert with the shape of a braid, donut or roll, with in the middle some hard boiled eggs. 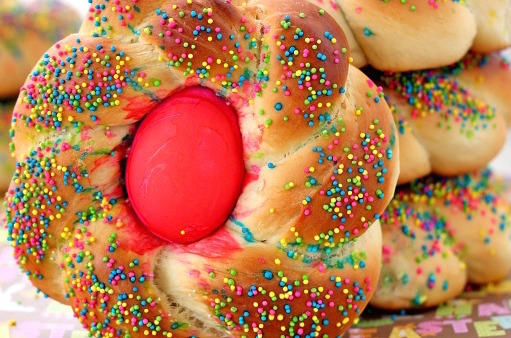 Small easter crowns are typically offered during Easter in the province of Caltanissetta as well, here however, the traditional Cudduredda is made of a hard dough, fried and flavored with cinnamon. 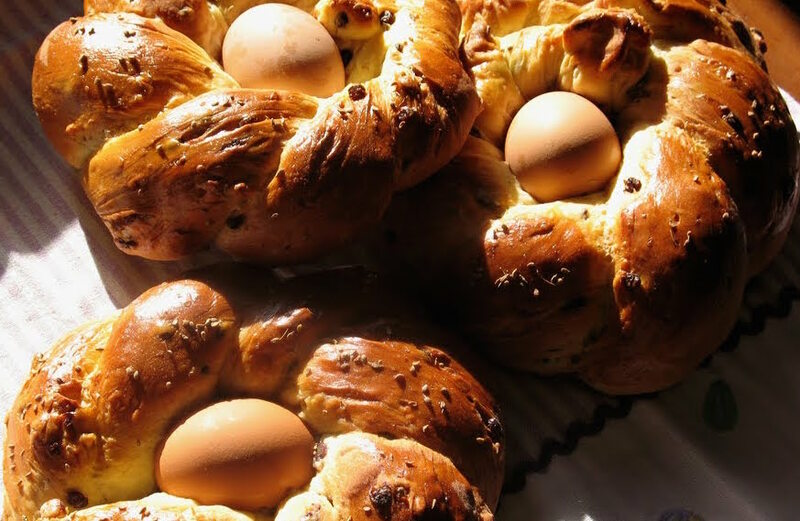 Also in Puglia there is a dessert called Cuddrure, or Puddriche, that remind the Cuzzupa of Calabria, here, in fact, they use to bake a kind of sweet bread off with hard boiled eggs nestled in the dough, to share with the familiy in the holy days.